On the last episode of the Real White Housewives the president’s former fixer Michael Cohen, whose tagline is “Go get you some hot water, cause you know I’ve got all the tea!” had agreed to cooperate in special prosecutor Robert Mueller’s investigation into all things Russia. President Trump, whose tagline is “Russia? But I barely know her,” wants Cohen to go to jail forever, noting that he should “serve a full and complete sentence” for the “TERRIBLE, unrelated to Trump” crimes he’s pleaded guilty to. 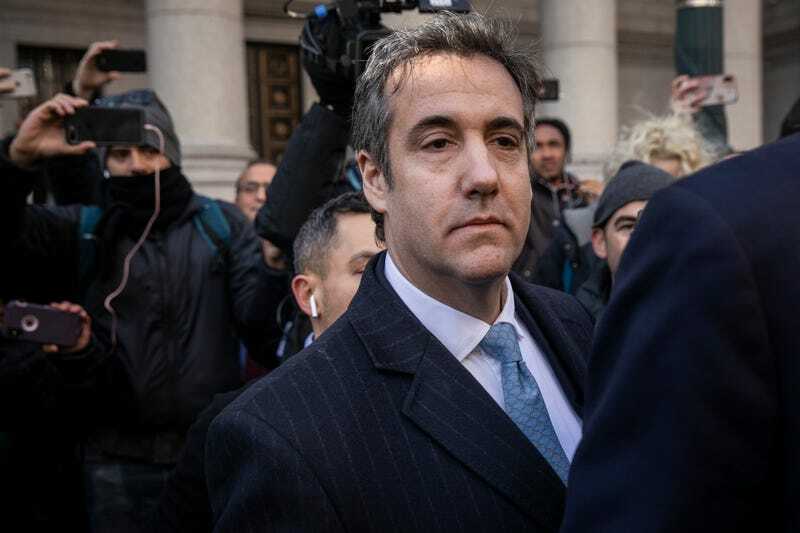 In August, Cohen confessed to federal charges of tax fraud, false bank statements and campaign finance violations related to hush-money payments made on behalf of the President. Last week, pleaded to an addition charge of lying to Congress regarding his involvement in a plan to build a Trump Tower in Moscow and his communication with the Kremlin. The attorneys cited threats against the President’s former-fixer since he agreed to cooperate with special counsel Robert Mueller’s investigation into Russian hacking of the 2016 presidential election as a reason for the judge to go easy. Cohen’s lawyers were pushing for no jail time for their client all the while trying to paint him as some kind of upstanding guy. “In the context of this raw, full-bore attack by the most powerful person in the United States, Michael, formerly a confidante and adviser to Mr. Trump, resolved to cooperate, and voluntarily took the first steps toward doing so even before he was charged,” read the sentencing memorandum filed by his attorneys, The Daily News reports. Cohen is expected to be sentenced on Dec. 12.